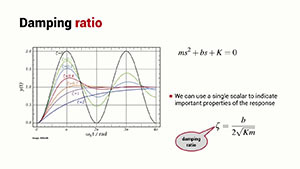 If your knowledge of dynamics is a bit rusty then let’s quickly revise the basics of second-order systems and the Laplace operator. Not rusty? Then go straight to the next section. 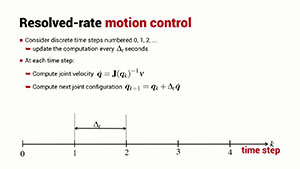 We will introduce resolved-rate motion control which is a classical Jacobian-based scheme for moving the end-effector at a specified velocity without having to compute inverse kinematics.